In honor of Red Cross Month, we made our first trip to the Emergency Room with Cupcake this March. Considering that she is named after Clara Barton, founder of the American Red Cross (the only claim to fame in my family tree), it seemed a fitting tribute. Cupcake & Minnie waiting at the ER! After 5 days of dealing with Cupcake's high fever, we ended up taking her to the ER. We had managed to keep the fever under control by alternating ibuprofen and acetaminophen for a week. 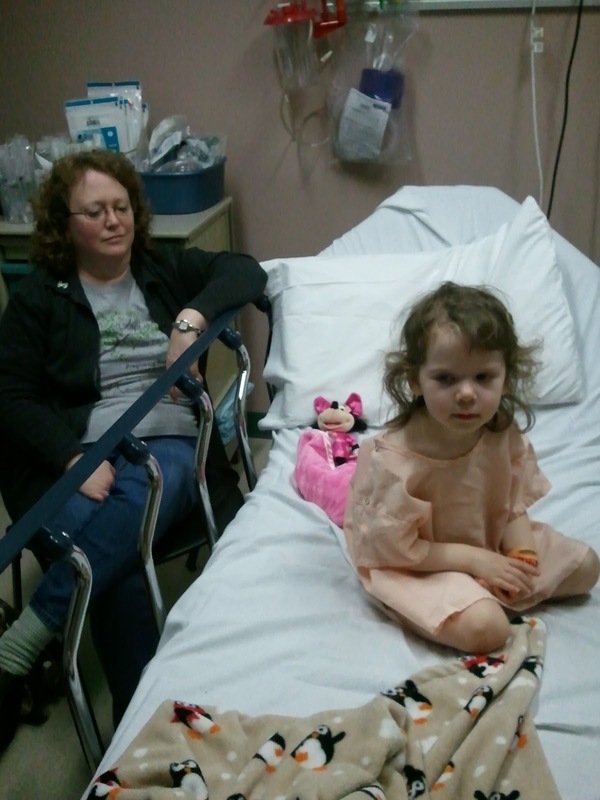 She had even been given antibiotics for possible strep that may have gone to her ears. Despite this, anytime we delayed the pain relievers, hoping the fever was done, within an hour it would skyrocket to 104, 105, even 106 at one point! Finally, the doctor instructed us to take her to the ER if it hit 102 again. So we packed up, anticipating the spike and prepared for a traumatic hospital experience. Boy, were we surprised! Cupcake in her mini hospital gown. We arrived at the ER in the evening loaded with all sorts of snacks, toys and games to keep our tot occupied during what we expected to be a bit of a wait. We had anticipated being there for several hours, but were shocked at the end, when we returned home at 4 am, after a 7 1/2 hour trip to the ER! Unbelievably, Cupcake was awake for the ENTIRE time! Daddy and Mommy, on the other hand, could hardly keep our eyes open in the wee hours. Cupcake was fascinated with all the doctors and nurses. She didn't seem to mind being poked, prodded and stuck. In fact, she was almost intrigued by the whole ordeal. Perhaps she'll follow in the footsteps of her namesake and head into the field of medicine. The only tears came at the end of the visit when it was time to pull out the IV port. She didn't want to take off the cute splint they had given her, so the nurses kindly let her keep it. Cupcake was happy to use it as a sleeping bag for her mini Minnie Mouse! Cupcake, with her IV splint, was a real trooper! After our long stay, she was given the all clear and we were sent home to await some test results. 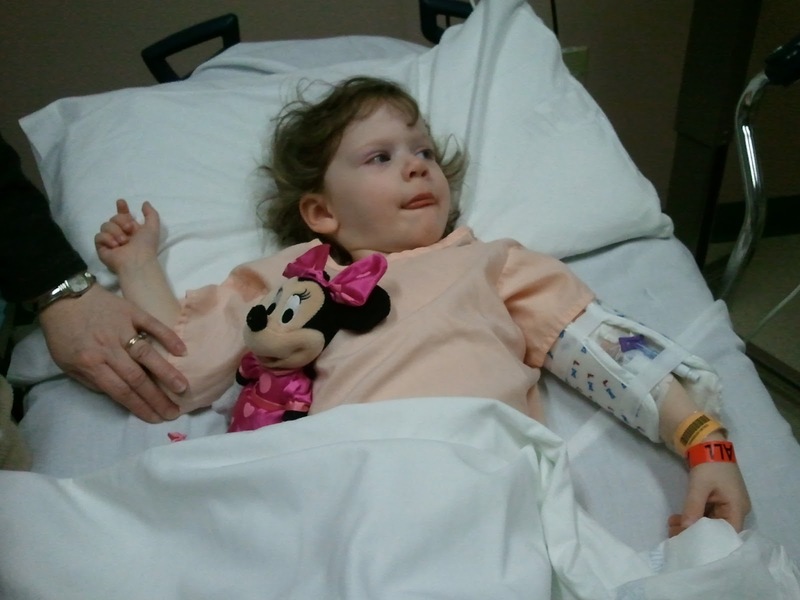 For several days, Cupcake sported her bracelets and told everyone she met about the boo-boo on her arm. 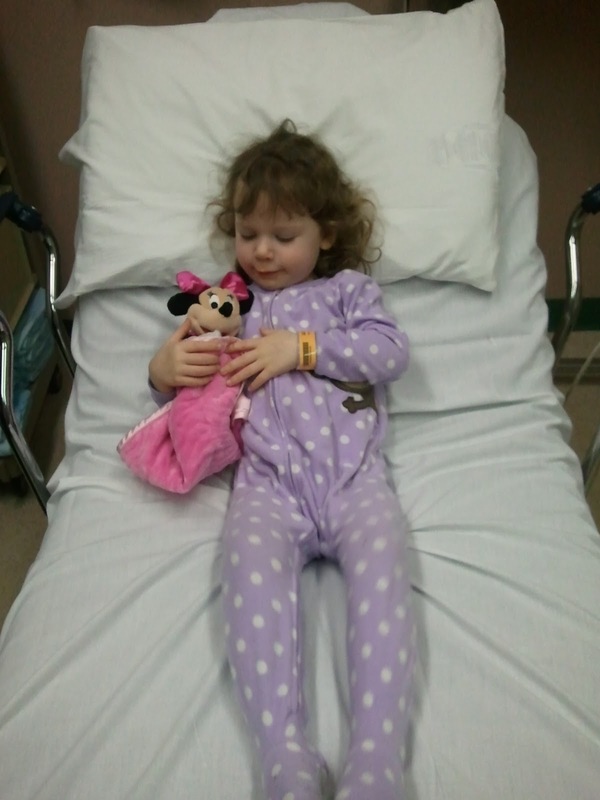 She's still undergoing testing to find out the mystery behind her on and off fever for the past month. When we pulled into the doctor's office this week for a blood test, she told me, "Boo-boo all 'beller'!" She apparently didn't want another boo-boo on that same arm! Despite a few tears this time around, she sat very still and was fascinated with the vile of her own blood that the phlebotomist let her hold. Cupcake proudly wore her badge of courage (otherwise known as her princess boo-boo sticker) and it would come as no surprise to me if someday she sported a Red Cross! What a brave little girl, I hope she is feeling better. Oh my gosh! I am so sorry to hear about her ordeal. Hoping she feels better soon and that the doctors are able to shed some light on the lingering fever. That is so frustrating not to get answers! Thanks! They are treating her for Lyme Disease and she has perked up immensely since the first dose of anitbiotics:) Praying that this is the solution!